Perfect for growing organizations, the flexible CDM1250™ mobile two-way radio can readily expand to meet rapidly changing business needs. Enhanced audio and a powerful front-projecting speaker ensure superb sound clarity, even in noisy environments. The display's user-friendly icons make information easy to understand. A full range of signaling capabilities includes such features as Caller ID and customizable call lists. 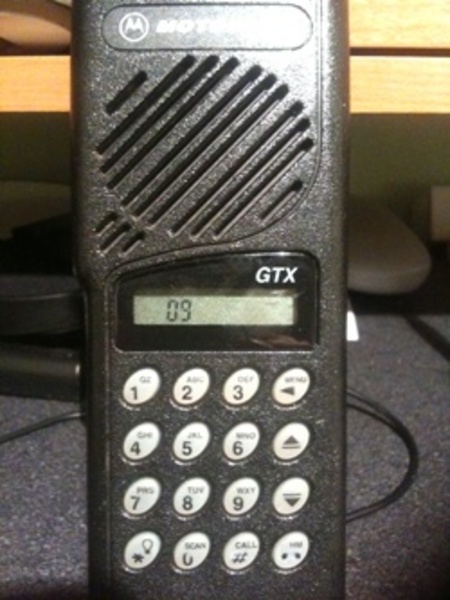 My current 900MHz portable I use until I save the money for the Alinco 220MHZ/900MHz hand held! 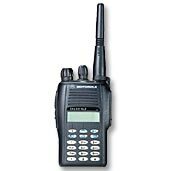 The Motorola HT1250TM portable two-way radio is an exceptional tool for growing organizations because of its versatility. 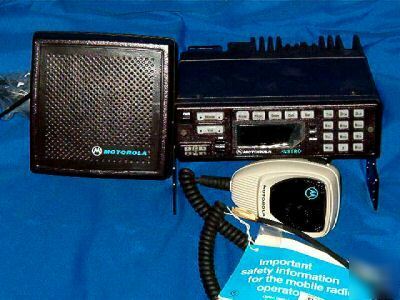 The radio offers a full menu of advanced signaling features, including paging and calling selective radios or groups. Information such as phone numbers, call lists and radio IDs are stored for easy access. Onboard X-PandTM technology results in superb audio clarity, even in noisy surroundings. The large LCD screen provides an important feature for critical situations. Power and versatility are yours with the Motorola EX600•XLS™ portable two-way radio. At just 9.5 ounces, this full-keypad portable radio is compact and lightweight. This radio's many outstanding features include: six programmable buttons, a full range of signaling options and dual mode operation capability, which switches between LTR® and Conventional modes. User-friendly icons on the 14-character alphanumeric display provide clear, understandable information at a glance. 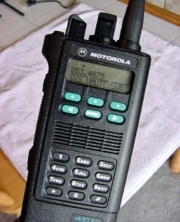 The P1225 Series Portable Radio is no longer manufactured, however accessories and replacement parts may be available. For product availability please contact your local Motorola Dealer.